A streak which began in November 2015 continued through April 2016. Over the last half-year, six full months, the Toyota RAV4 has been America’s best-selling SUV/crossover. The RAV4’s April 2016 victory came about thanks to the Toyota’s own 32% year-over-year increase and 3807 RAV4 Hybrid sales. The nearest competitor, Honda’s typically top-ranked CR-V, was 1239 sales behind as a result of its own 2% year-over-year decline. For the most part, however – despite further losses from a handful of top-selling domestic utilities – the SUV/crossover sector was full of popular models which sold better in April 2016 than in April 2015. 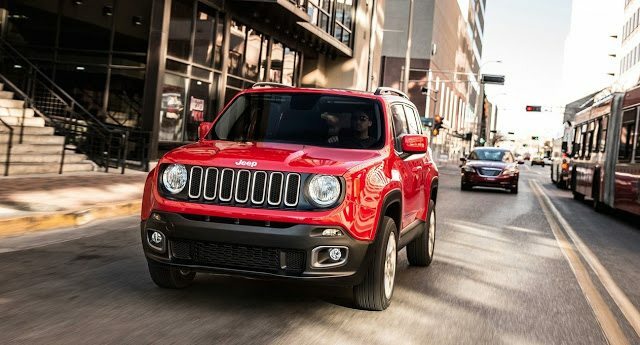 From the Ford Explorer’s 25% jump to the Toyota 4Runner’s 36% leap forward to the doubling up of Jeep Renegade and Compass sales, improvements were common. The exceptions included Ford’s top-selling utility, the Escape, as well as Ford’s third-ranked utility, the new Edge, and the top-selling utilities from General Motors (Chevrolet Equinox) and Fiat Chrysler Automobiles (Jeep Cherokee). The Cherokee’s 7% drop, in fact, helped two other Jeeps to sell more often. Yet the Jeep brand did sell more vehicles in April 2016 than in any prior April. Jeep earned fully a quarter of the best sellers’ list available positions with its second-highest-volume month ever. Historical monthly and yearly sales figures for any of these best-selling SUVs and crossovers can always be accessed through the dropdown menu at GCBC’s Sales Stats page, and for those not viewing the mobile version of this site, near the top right of this page, as well. GoodCarBadCar has already published the list of America’s best-selling trucks in April and will shortly publish the list of America’s 20 best-selling cars. The Subaru Outback and XV Crosstrek, formerly ranked with cars, are now eligible for best-selling SUV/crossover status on GCBC.